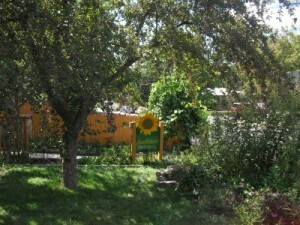 The overall design of the outdoor classroom at Sunflower Preschool has been over a twenty-year project. In 1990, Sunflower Preschool purchased the building at 3340 Dartmouth. Since then, the playground has been transformed with the addition of fruit trees, raspberry bushes, planter boxes, grape arbors and an award-winning xeriscape berm. 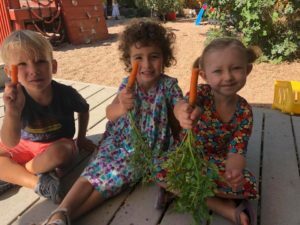 Since 1981, founder and former owner Debbie Ellman was consistent in bringing her interests of gardening and science into the space while staff have helped personalize the classroom through their own contributions. In 2016, Marisa Ellman, Debbie’s daughter became the new Owner & Operator of Sunflower. 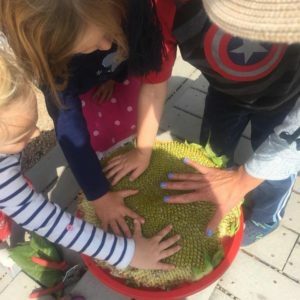 She is passionate about connecting young children to nature through Sunflower’s outdoor classroom and enjoys seeing the beauty of the natural world through the eyes of Sunflower children. The Nature Art Area is shaded by three cherry trees, which create a canopy, helping to delineate the space further. 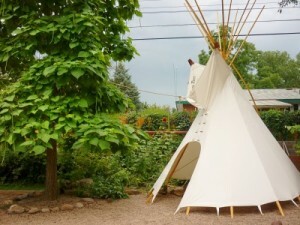 The xeriscape berm provides a beautiful barrier from the street while the Arapahoe tipi adds to the eclectic feel of the classroom while protecting natural materials from the weather. 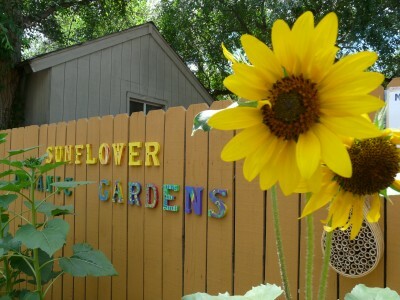 Sunflower Preschool children engage in recycling, reusing and composting. Rain barrels are used to teach about the semi-arid climate in Colorado and to help conserve water for use in the sand and water areas. Children learn about native animals and benefit from the educational opportunities at the University of Colorado, which is located only three miles away. 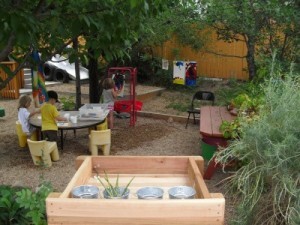 Gardens and mature trees surround the children and are an integral part of the curriculum. A great deal of time is spent in the spring and summer months listening to birds that come to the yard for the birdbaths and nesting options. 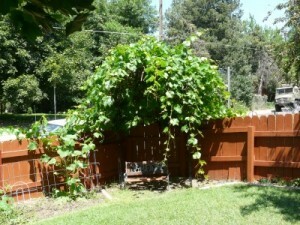 During the summer, a plant of the week is chosen and displayed in the classroom. Children are encouraged to really investigate this plant, to examine and draw it. 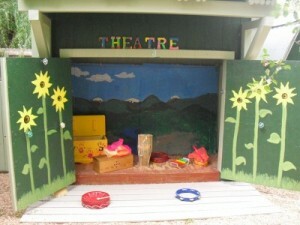 The outdoor space has also been certified as a Wildlife Habitat by the National Wildlife Federation. Students explore the native species in the yard and pick various leaves and flowers to add to the Nature Explore table. Parents are encouraged to attend Nature Explore Workshops and provide input on how to improve the outdoor space. Monthly newsletters provide information about events and happenings.